After Gemini Film Circuit officially confirmed that they have parted ways with Vijay on very amicable terms. 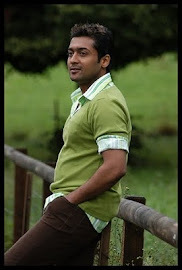 Wasting no more time Shankar immediately asked Surya to act in his remake of 3 Idiots, there was a brief moment of relief for Shankar as Surya was only happy for getting this opportunity but it wasn’t for long when Surya brought forward two of his conditions which must be fulfilled. One is that he cannot immediately give the call sheet and the next is that he wanted to do the lead role in the Telugu version also. Shankar was little shocked at hearing this. Definitely Surya is eyeballing for a wider fan base in Telugu film industry as his dubbed films released there earlier have been great hits. One thing is for sure Gemini Labs who have already signed Mahesh Babu for this role by paying him a huge advance are in major trouble now, if Shankar decides to go ahead with Surya which seems unlikely as Mahesh Babu is a huge star in Andhra. Apart from the unconfirmed entry Surya, it is Srikanth and Jeeva who have been finalized for the remake of 3 Idiots. Jeeva’s fans over the days have been thronging him to get updates about the cast in the remake of 3 Idiots through social networking sites. Surprisingly, Jeeva has not spoken anything much regarding the movie 3 Idiots.Finally Jeeva mentioned that he has no idea whatsoever about the project. He too was not sure about Vijay’s role in the flick and reassured that he will come up with more updates on the movie as soon as possible and is happy that the shooting for Ko is over. We got updates that Jeeva is just back in the city after wrapping up his shoot for Ko, he has already begun started shooting for Rowthiram. “I came back from Puducherry and started shooting for Rowthiram the same day,” said Jeeva. “It was great fun shooting for Ko. The last schedule was in Puducherry, where we shot a part of a song. Interestingly, we were filming all over Tamil Nadu for this song. So, on the last day, after wrapping up the shoot, we all had a small get-together. The entire cast and crew spent the night talking about our experiences working on the film. Jagan, who plays an important role in the film, was busy playing pranks on us all. I also imitated KV Anand sir and he was totally cool with it. It was real fun,” he said. As for the only actress in the move everyone is just hoping that Ileana stays out from this mess. The poor girl is expecting a comeback into Tamil films with this one. Director Shankar it seems the sun refuses to brighten up your days for the moment. Industry insiders also mentioned Shankar is struggling for scripts after the demise of close collaborator and veteran writer Sujatha responsible for the screenplays and scripts in his movies and sadly this is the reason he has resorted to making remakes.